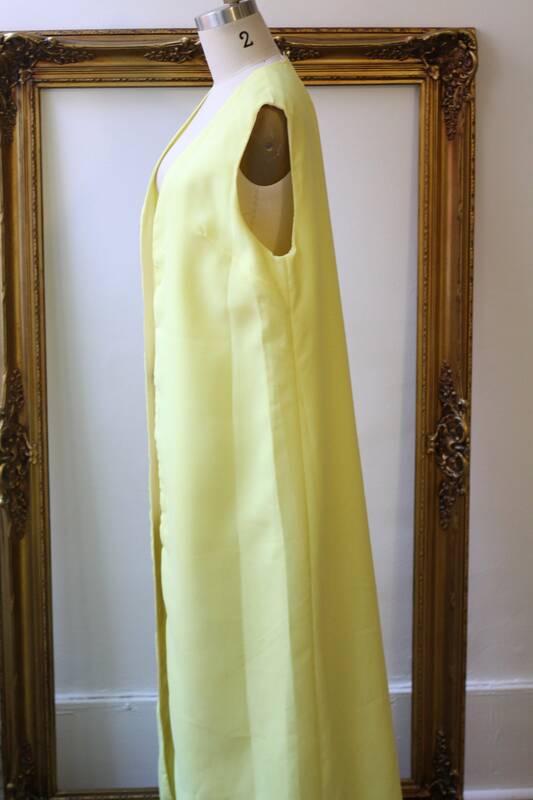 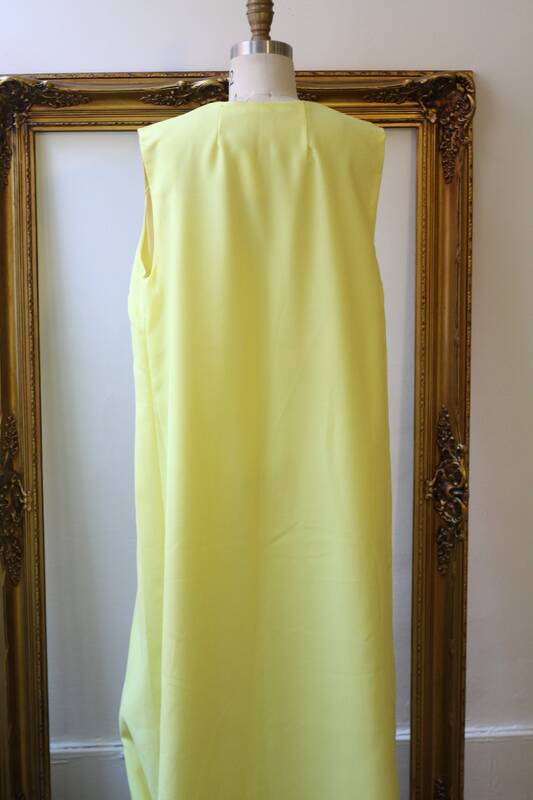 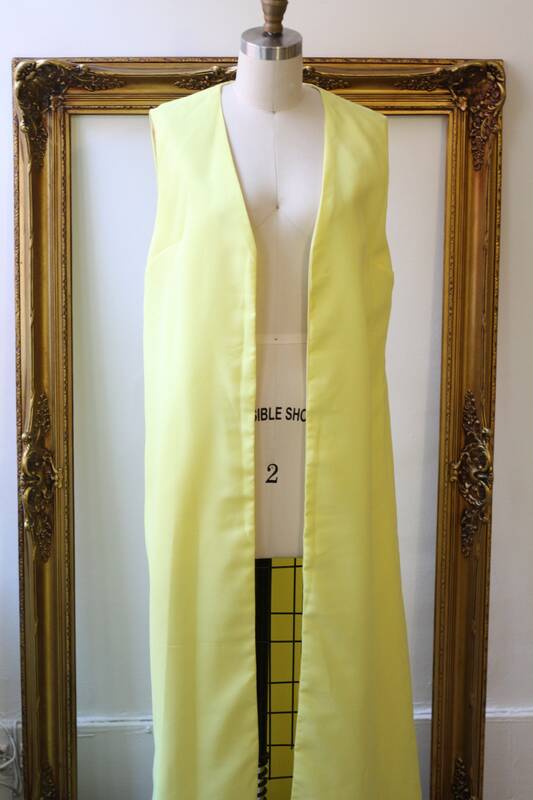 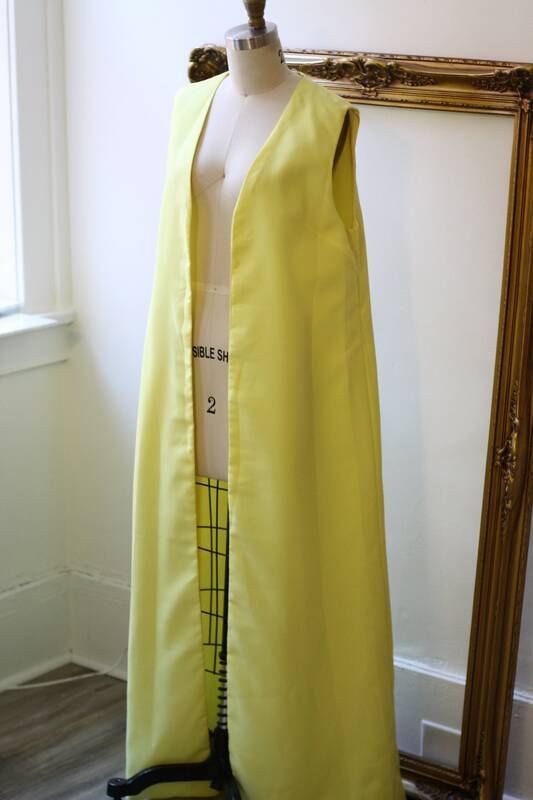 1960s bright yellow full length vest. 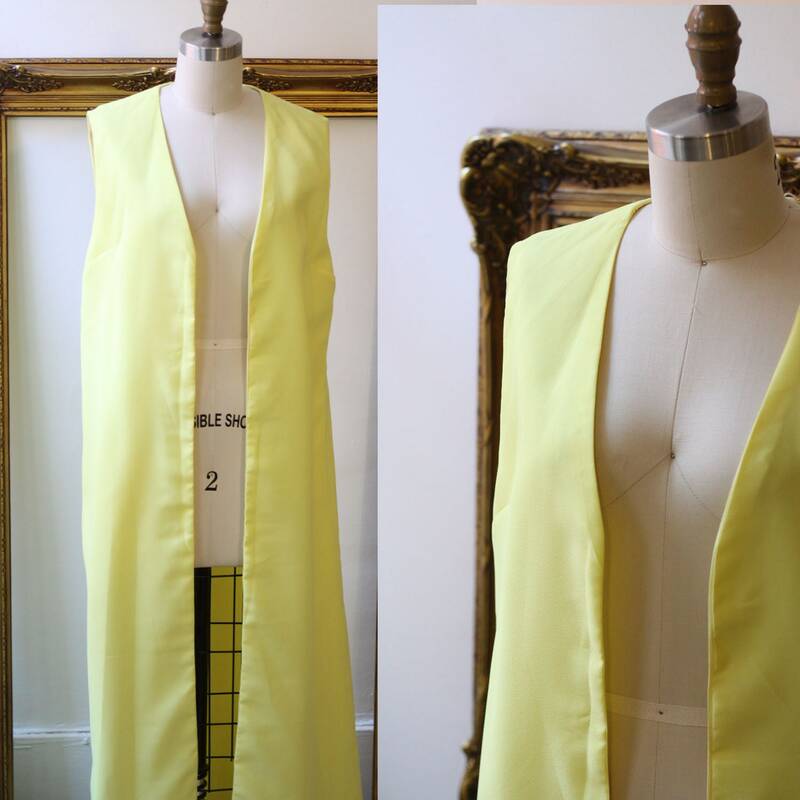 The vest is fully lined and depending on your height will hit the ground or even lower. 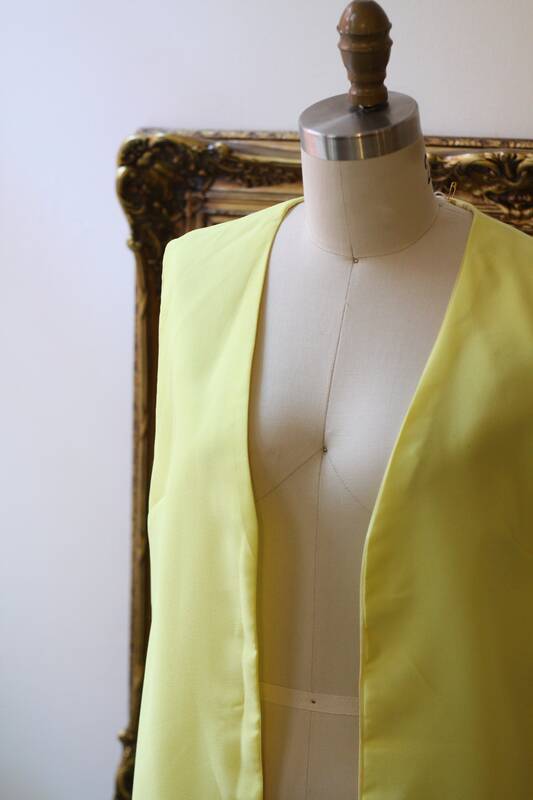 Larger arm holes and no closure on the front of the vest so must be worn open or belted.